Veson Nautical has introduced two new IT products, with the release of version 6 of its Integrated Maritime Operations System (IMOS) software and the launch of Veslink. Veson Nautical has introduced two new IT products, with the release of version 6 of its Integrated Maritime Operations System (IMOS) software and the launch of Veslink, a configurable web-based network service used for the exchange of data. IMOS v6 consists of nine core modules: Chartering, Operations, Financials, Cargo Planning, Trading, Demurrage, Pooling, Data Centre and Data Services, which can all be integrated together depending on the requirements of the shipping company. The user interface has been updated with a range of new features to allow easier navigation, using fewer clicks and improved keyboard access, while improved functionality for contract management and voyage and job planning has been introduced. 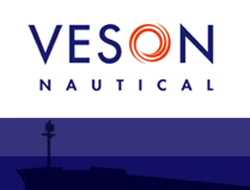 The new Veslink system will incorporate Veson Nautical"s existing OnBoard and Distance services. OnBoard was previously part of the IMOS system and will retain its original functionality, managing and automating voyage communications from ship to shore via the web or e-mail. The Distances function will now be integrated with navigational charts provided by Jeppesen Marine, providing a web-based service that will allow companies to plan voyages within their own system using Jeppesen data.